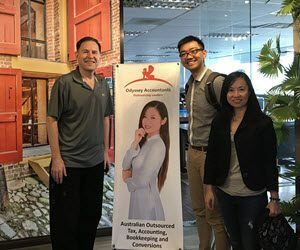 Odyssey Resources clients frequently give Odyssey’s Accounting, Tax, bookkeeping, SMSF outsourcing services and conversion services a Five Star rating. We’ve selected a few comments below! Odyssey are doing a great job for me David. Thanks to the team and keep up the good work..!! Really impressed in the turnaround of the work I’ve been uploading across to Odyssey. Your team are asking excellent questions. Much better than the other outsourcing companies I’ve used before – no comparison. We also have a bookkeeping firm so, I will be looking to offload some data processing for that also soon. Outsourcing is allowing me to improve business process and work directly with the client as opposed to punching out returns. It was delightful spending time with you over the past few days. 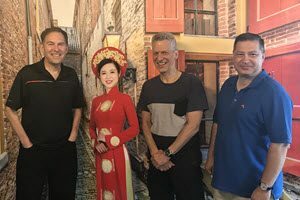 Your warmth and hospitality is a true demonstration of the wonderful people that you are and it is always enjoyable and educational being in your company. I am very impressed and will continue to use your services and send more work through shortly!! Great job and I like the way you’ve done it in the WP great job! My experience with you is superlative. Maybe I’m not a cheapskate like most accountants. In fact I don’t want to be like most accountants - I’m 46, have all my hair, my clients love me and I ride dirt bikes!!! Robert, Director accounting firm, Melbourne. I was just wondering when I would be receiving an invoice from you? I would like to settle my account. My business partner is super impressed with the quality of your work so you have got a long term client here! Thank you for the excellent work. I think it looks all good. Could you please send me the financial report so I can forward to the client for signing? Thanks, team and I’ve gone through the report and well-done guys !!! Besides a few minor adjustments, everything is done to perfection and I’m confident it should be ok for the auditor. I’m really impressed with the quality of the WP’s great job !! 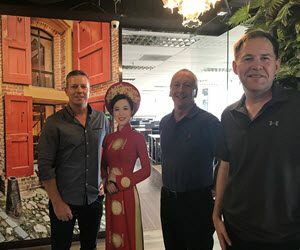 Lovely to have a visit by George and Mike, partners of a Victorian firm. Great to have a visit by Steve and Kev from Brisbane. Steve is the principal of a Brisbane accounting firm. Thanks for dropping by and enjoy the rest of your time in Vietnam! Lovely to receive Chris, principal of an accounting firm in the NT, and Shufen. Odyssey has been providing Australian compliance services since 2010 to this firm. Hope you enjoy the rest of your trip in Vietnam!